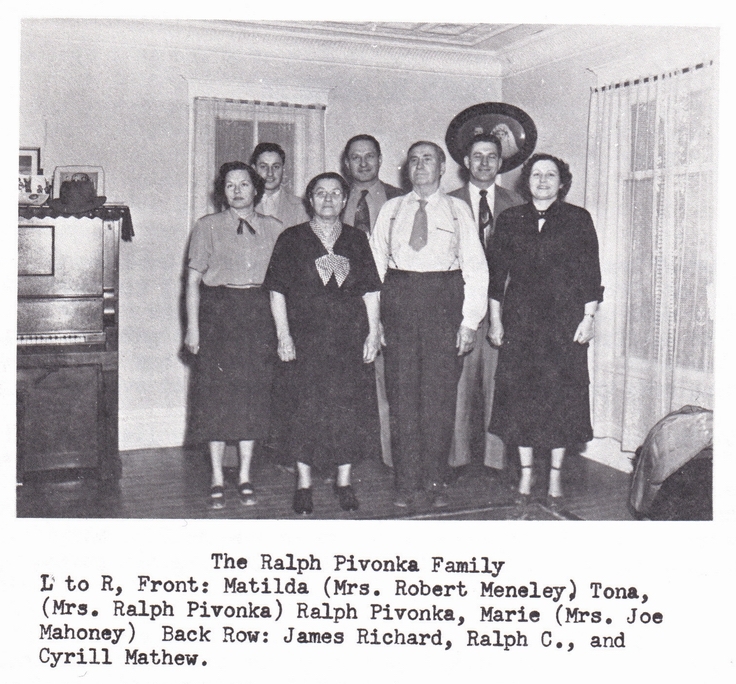 Ralph Pivonka, the youngest of the family was about a year and a half old when the family came to Kansas. He herded cattle on the unfenced prairie and got his formal education attending school a few months a year in District 19. He married Antonia Holopirek and they lived on the homestead which he farmed, Ralph was an excellent mechanic and loved to work with machinery. He owned a steam engine and a threshing machine and for many years threshed wheat for farmer neighbors. Later he built a garage in Timken and his business grew rapidly. The family moved into town and Ralph lived there the rest of his life. His two younger sons carried on his business and expanded it. 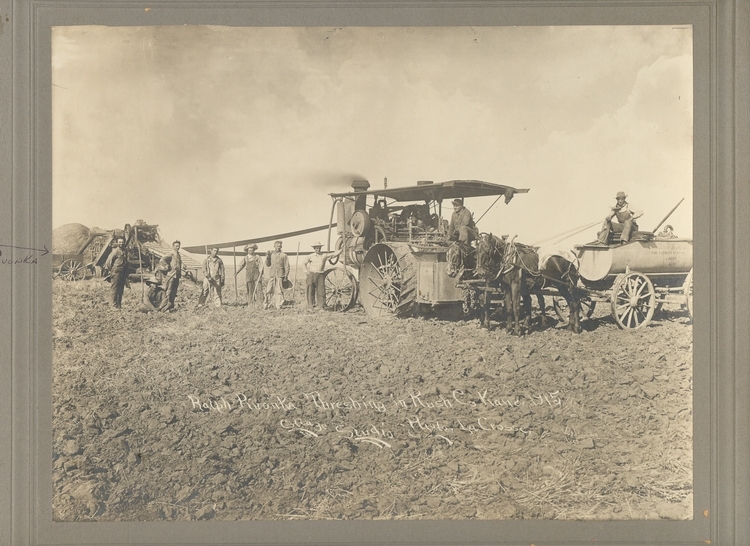 "The Ralph Pivonka Threshing Company"
An 11+ Mbyte, ca. 2200x1600 pixel bitmapped version of this photo is available.